Voluntary Departure has some very positive benefits that you should consider if there are no other viable options. For example, a grant of voluntary departure does not result in a ten (10) year bar from reentering the United States. So, if you are deported under a removal order, you will be denied admission for the next ten (10) years, regardless of whether you are otherwise eligible for a visa or greencard. If you receive voluntary departure and you leave within the terms of the grant of voluntary departure, if you become eligible to come back, you would not have this ten (10) year bar. 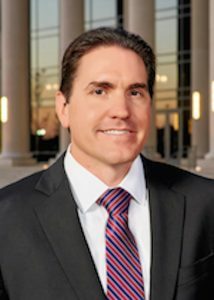 Also, if you are granted voluntary departure and leave within the terms of the grant of voluntary departure and you enter the United States without being lawfully admitted, you would not be subjected to reinstatement of removal, as you would if you were ordered removed by the Immigration Judge. So, you would be able to go before an Immigration Judge and assert any forms of relief that may be available to you. Voluntary Departure also allows you leave the United States on your own, while avoiding the stigma of being deported and having a deportation order lodged against you. HOW DO I GET VOLUNTARY DEPARTURE? must establish by clear and convincing evidence that he or she has the means to depart the U.S. and intends to do so. WHAT IF I DON’T LEAVE WHEN I’M SUPPOSED TO? There are serious consequences if you do not leave the United States within the time allotted once you have been granted Voluntary Departure. First, the Immigration Judge is required to issue an alternate order of removal that automatically converts if you do not leave the United States and would raise a ground of inadmissibility under INA §212(a)(9)(A). There is also a civil penalty that must be between $1000 and $5000. But probably the most damaging consequence of failing to leave after being granted Voluntary Departure is that you will be ineligible for ten (10) years from Voluntary Departure, Cancellation of Removal, Adjustment of Status, Registry, and Change of Nonimmigrant Status. Therefore, if you were granted Voluntary Departure and you did not leave but later became eligible for a form of relief, you would not be able to be granted that form of relief for ten (10) years. There is a an exception to these consequences for victims of abuse. Under the VAWA act, if you can demonstrate that battery or extreme cruelty was at least one main reason for the failure to depart under the Voluntary Departure grant, you may still be able to apply for forms of relief. Talk to your immigration attorney about whether you qualify for this exception. The consequences for failing to depart also only apply where the failure was voluntary. Extreme hardship or failure of your attorney to notify you of the Voluntary Departure could be argued by your immigration lawyer to avoid the consequences of failure to depart. However, you should consult with an experienced immigration attorney if you are going to, have, or had voluntary departure in your case. When you leave on a grant of Voluntary Departure, you should keep all evidence of your departure, including airline tickets, baggage claim tickets, etc. In the future, you may have to prove that you actually left the United States in accordance with the grant of Voluntary Departure. You can also go to the U.S. Consulate in your home country to request that they confirm your departure. If you are an arriving alien that was never admitted into the United States and were placed in removal (deportation) proceedings, you may be able to request withdrawal of your application for admission instead of Voluntary Departure. 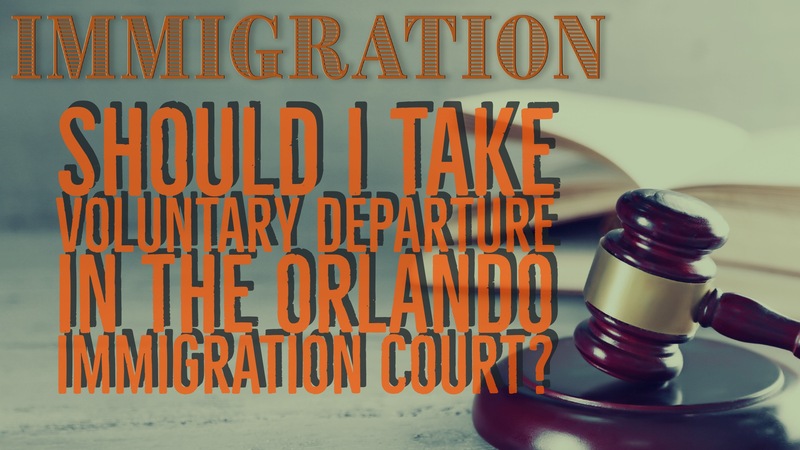 If you are granted Voluntary Departure by an Immigration Judge and you decide to appeal the removal (deportation) case to the Board of Immigration Appeals, the Voluntary Departure period will not run and you cannot be charged with failing to depart. The BIA will generally reinstate Voluntary Departure if it expires while a non-frivolous appeal is pending. If you depart while your appeal is pending, your departure will be considered a withdrawal of the appeal.